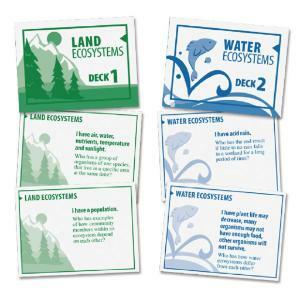 Help students explore the world's land and water ecosystems by focusing on the climate and life within the habitats with these two fun and fast-paced card games. Students will race against the clock using use the "Round Robin -I have, who has" game style, as the entire class works together to explore the topics and beat their best time. 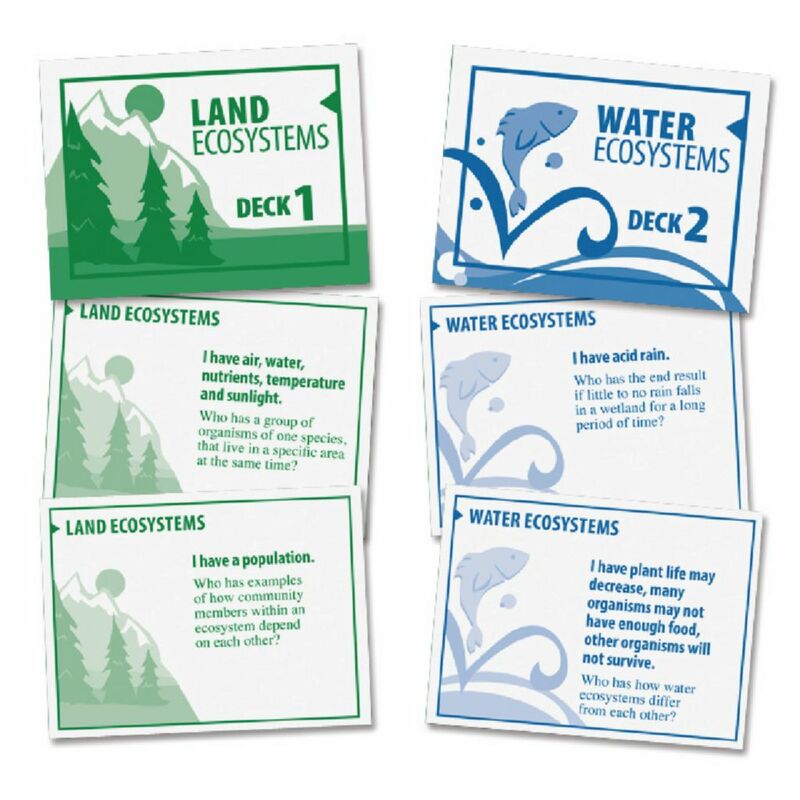 The two decks cover land ecosystems and water ecosystems, and are perfect for topic introduction, review, or post-unit evaluation. The variation between both games allows teachers to get multiple uses while keeping students engaged with fresh and interesting topics. Includes 30 cards per deck, instructions, and easy to follow teacher answer key. Meets National Science Education Content Standard C. Recommended for grades 5 to 10.